Deadglass Seattle is a gritty, alternate universe where two shapeshifter races fight in secret over the Gate to the Land of the Dead. 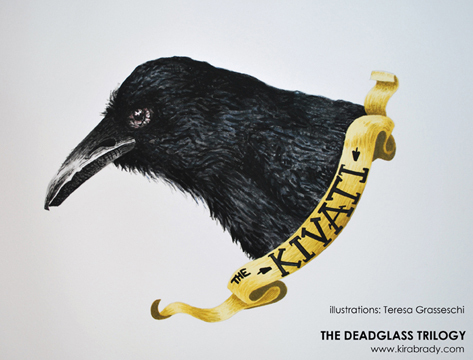 Artist Teresa Grasseschi drew up an awesome map and character illustrations. Ballard: Scandinavian neighborhood north of the Ship Canal founded by Sven Norgard and his Norse followers. Fremont: Artist neighborhood favoring rebellion, giant trolls, and Lenin statues. Capitol Hill: Old neighborhood on a hill east of Downtown. Settled by early millionaires and lumber barrons. Mansions on Millionaires’ Row wired for both gas and electric. Pioneer Square: Oldest neighborhood in the city found just south of Downtown. Was rebuilt in brick around the turn of the century after the Great Seattle Fire leveled the wooden buildings. Very haunted. Immortal, soulless dragon shifters led by the charismatic Sven Norgard. 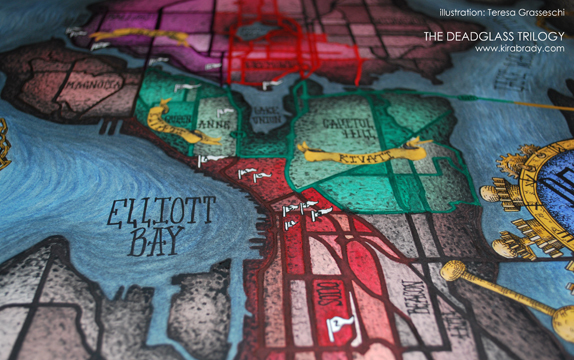 His seat of power is the Scandinavian enclave of Ballard, just to the north of the Ship Canal. 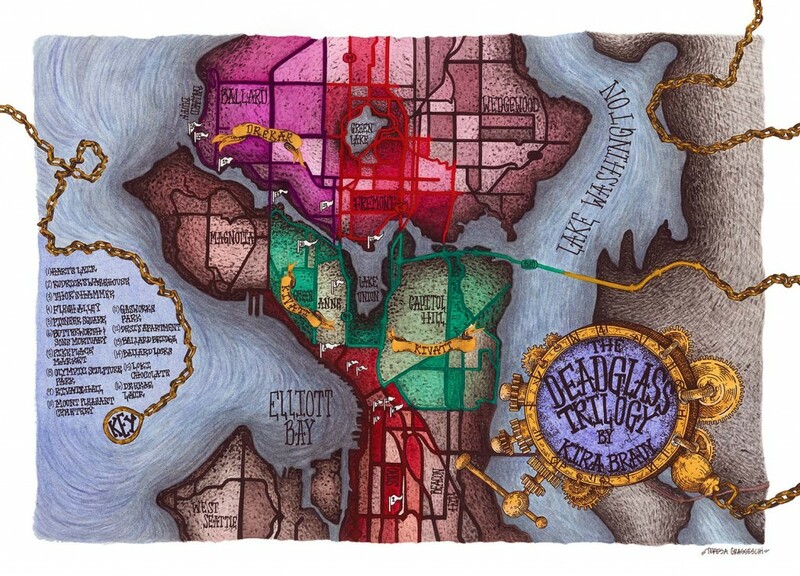 Regent Norgard owns half the city, including the mayor, and his business empire extends across the Pacific Northwest. An ancient race of shapeshifters who can Change to their animal totem, they’ve ruled quietly in the Pacific Northwest for millennia, guarding the Gate between worlds and keeping humans safe from the Drekar and their ilk. From his seat on Queen Anne Hill, their leader, Emory Corbette, the Raven Lord, rules with an iron fist to keep his people safe from the depredations of the modern world. 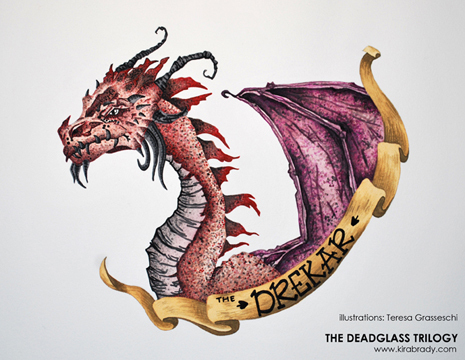 Commissioned by Sven Norgard from the Dreki glass artist Brand (Novella, Hearts of Fire), the Deadglass allows the bearer to see the supernatural. There are only two in existence: a monocle Norgard wears on his left eye, and a small brass spyglass borne by his head hunter, Hart.